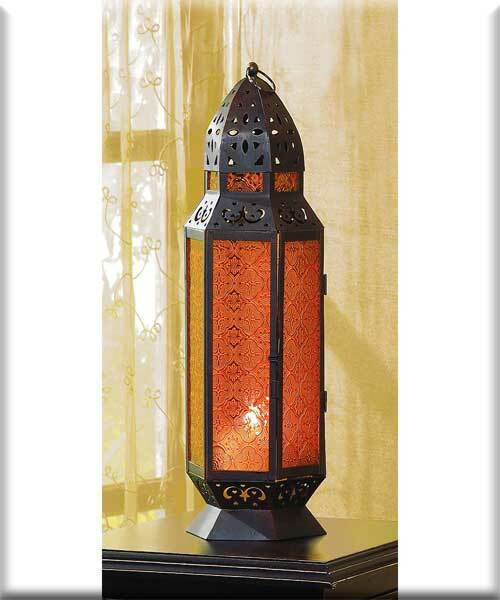 Stock# - 34691 Amber Candle Lantern - Tall Moroccan-style candle lantern with amber glass panels. For pillar candle (not included). Metal. 6 1/4" x 5 3/8" x 19" high. 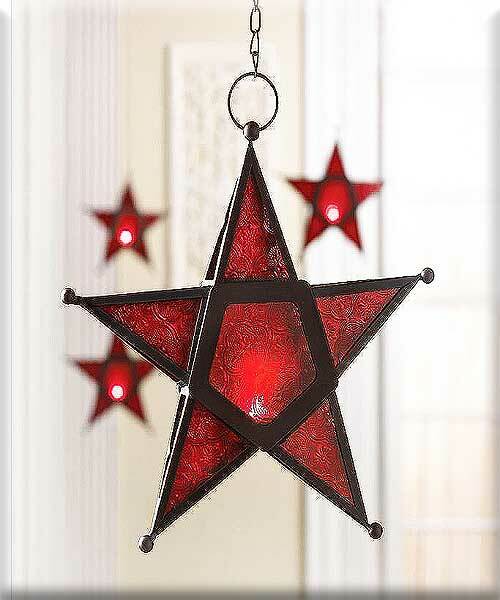 Stock# - 12288 Red Glass Star Lantern - Star light, star bright. 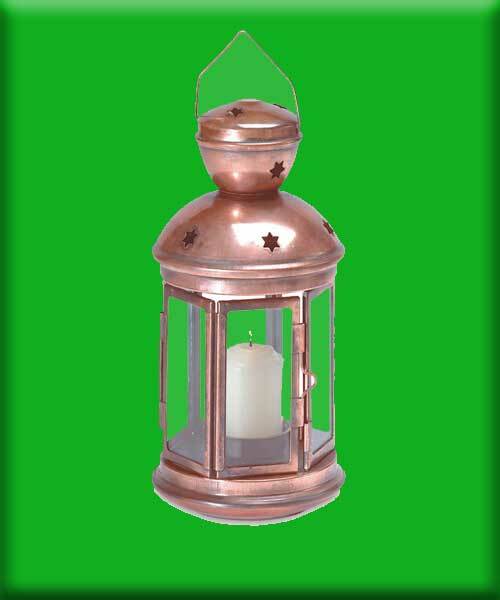 This lantern is an artistic way to beautify candlelight! Patterned glass panels glow richly when lit from within, creating a captivating crimson glow. Iron and glass. Candle not included. Stock# - 31132 Colonial Candle Lamp - Cutouts and glass windows gleam with reflected candlelight in this colonial-style metal candle lamp. Bright burnished finish and a wire hanging loop. Metal with glass windows. Uses votive candles (not included). 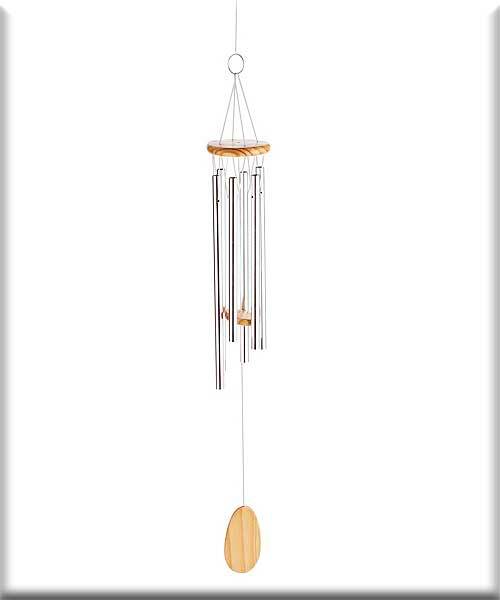 Stock# - 14845 Grand Vista Wind chime - At an impressive 57 inches long, this wind chime is the fairest of them all! Long shining pipes produce the serene sound of church bells from even the merest breeze, filling the air with ever-changing song. Ring at top for hanging. Metal and wood. 7" diameter x 57" high. 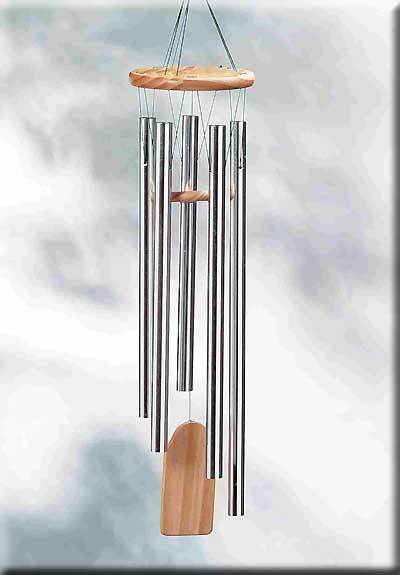 Stock# - 25306 Wood And Aluminum Wind Chimes - Nature's own music sounds best when accompanied by the soft, gentle tones of this set of aluminum and wood wind chimes. A natural pine finish makes this a lovely porch decor item. Tubes range from 12" to 17" top is 5 1/2" in diameter. 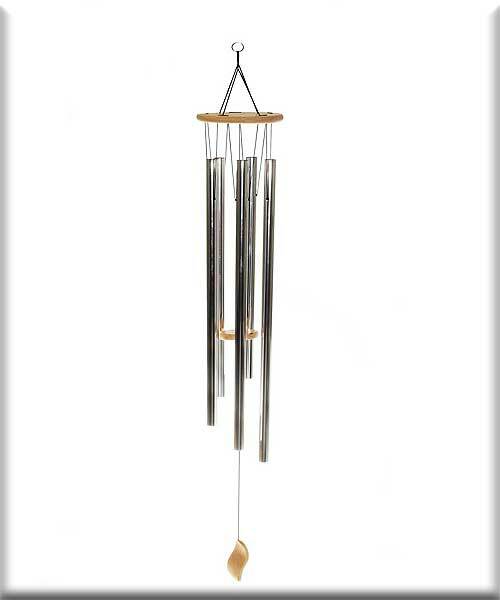 Stock# - 28191 Classic Wind chimes - Simple yet elegant! The slightest breeze starts a gentle symphony. Wood and aluminum. 3 1/2" diameter x 23 1/2" long.